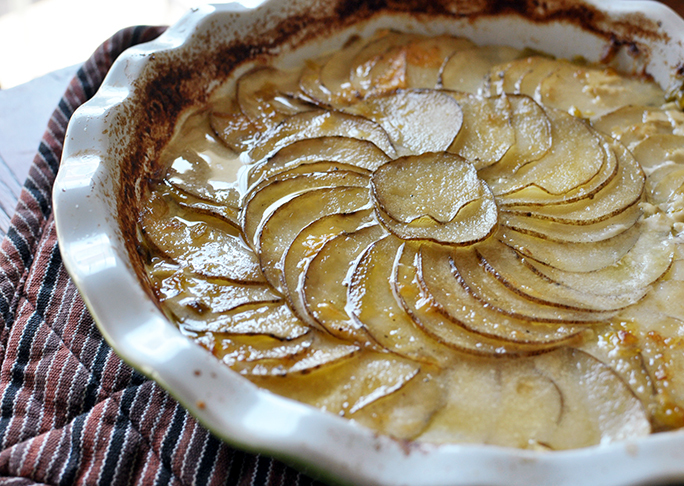 One of my favorite, make-ahead recipes for the holidays is this cheddar leek and potato gratin. After four years of making this it still remains everyone’s favorite dish of the night. And how could it not be? Cheesy. Potatoes. Enough said. 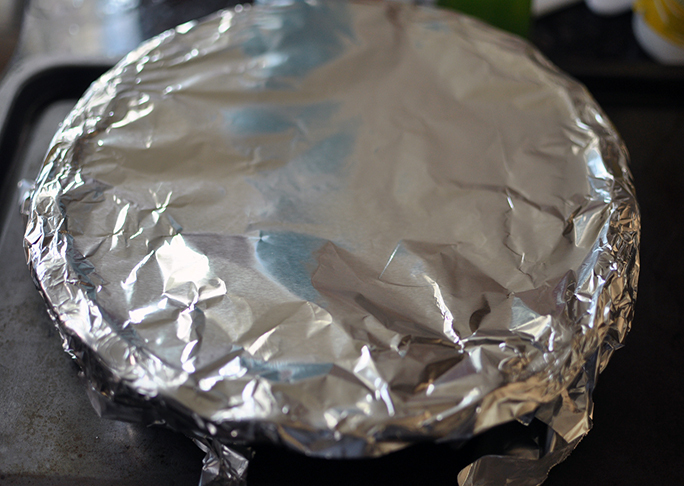 It can be prepared the night before and covered with foil, then popped in the oven on the night you’re entertaining. Or, you can even bake it off the night before and reheat it in the oven the next day. Recipes like this save my sanity on big holidays because of the make-ahead factor. Step 1: Preheat oven to 400 degrees. 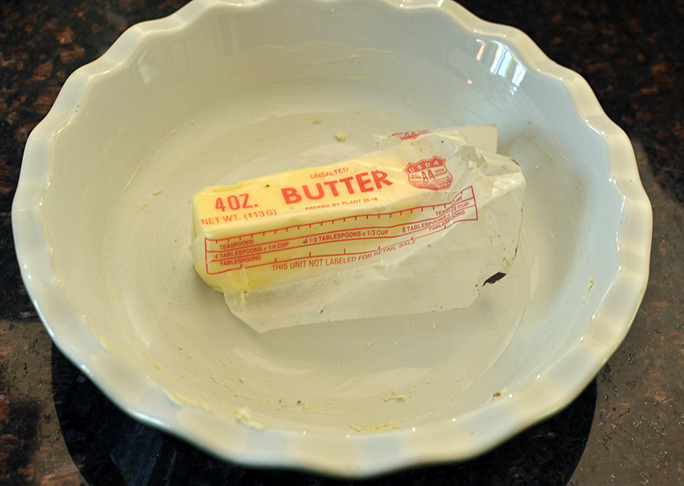 Butter a 9-inch deep dish pie plate or baking dish. Step 2: Melt butter in a large skillet over medium heat. 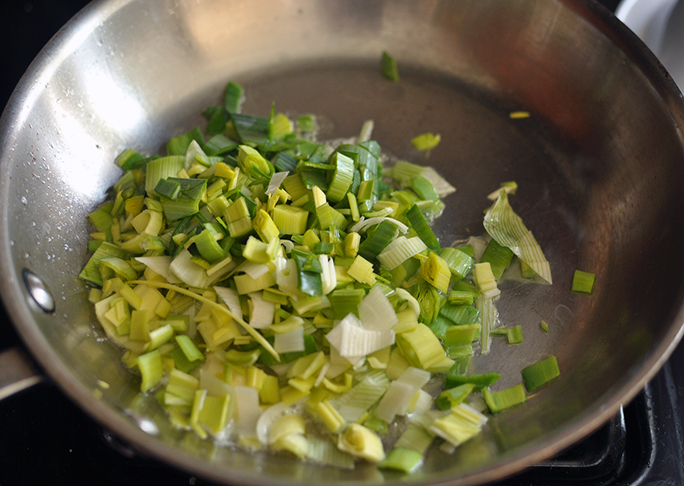 Add leeks and cook, stirring, until soft, 3 to 5 minutes. Remove from skillet and set aside. 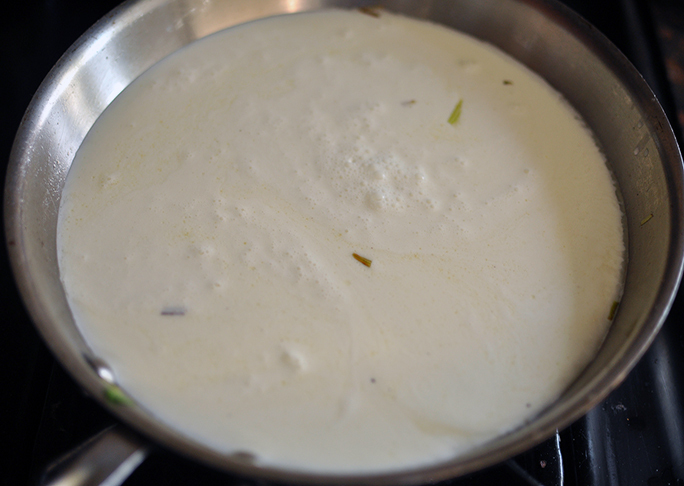 Into the same skillet add cream, chicken stock, and nutmeg; cook until bubbles form around the edge. Remove from heat. 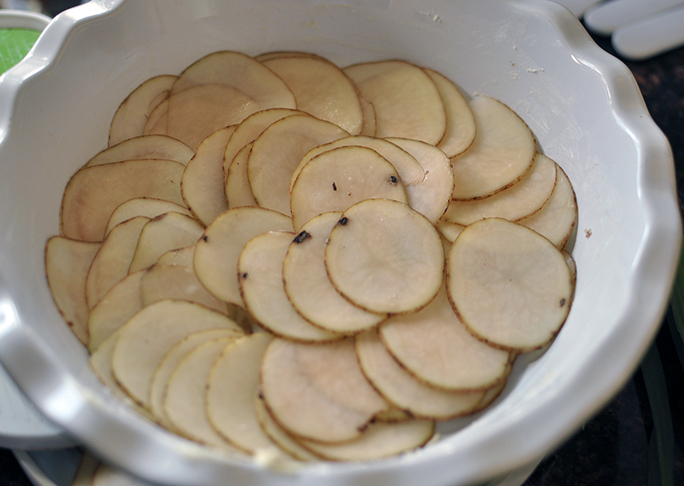 Step 3: Meanwhile, thinly slice potatoes, approximately ⅛-inch thick. 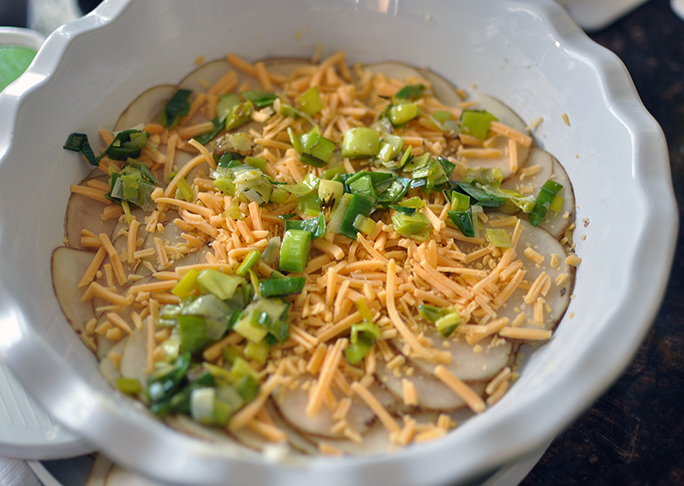 Place ⅓ of the potatoes evenly into a prepared baking dish; season with salt and pepper, and top with ⅓ of the leeks and ⅓ of the cheese. Repeat with remaining ingredients until all ingredients are used up. There will be 3 layers of potatoes. Final layer will be just potatoes. 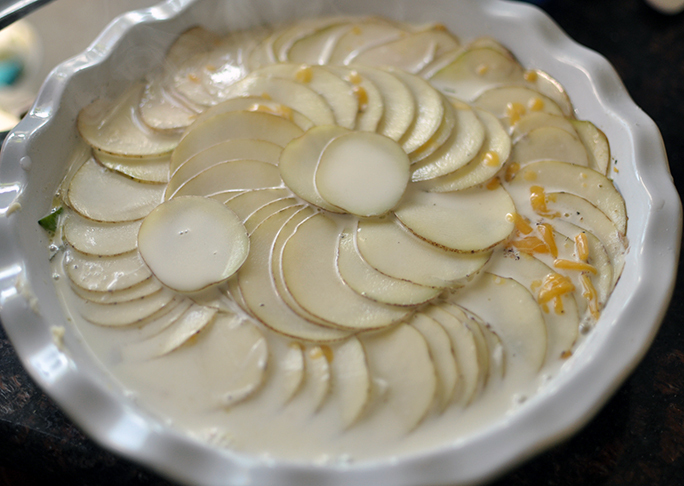 Pour leek-cream mixture over potatoes and cover with foil. Step 4: Bake until potatoes are fork-tender and top is brown and bubbling, about 55 minutes. Remove from oven and let cool about 10 minutes before serving.